Cointreau is a famous orange liqueur that is used in a variety of drinks in the USA and all over the world. You can order this premium liqueur at Duty Free Depot and enjoy a low Cointreau cost as well as free world wide shipping. This online shop guarantees the authenticity and quality of your purchase and offers a 24/7 customer service team. When buying Cointreau at Duty Free Depot, you will receive the best possible Cointreau prices. This liqueur offers a powerful but delicate flavor and it is the perfect addition to many different drinks. Alternatively, this liqueur can be enjoyed all on its own. The quality, flavor and low Cointreau price at Duty Free Depot is guaranteed. Whether you are searching for a liqueur to reinvent your favorite drinks, a delectable spirit to be enjoyed on its own or a beverage for a high-class dinner party, Cointreau from Duty Free Depot is the perfect choice. Duty Free Depot is dedicated to providing its customers with the best products and customer service assistance. Customers at Duty Free Depot will get the best prices on a variety of products as well as world-wide shipping. 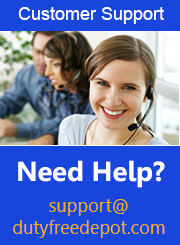 The customer service department is available 24/7 and can be reached via online form, live chat, telephone and email. Representatives are standing by to answer any questions regarding orders and products. Customers can choose from several major credit cards to complete their safe and secure payment.